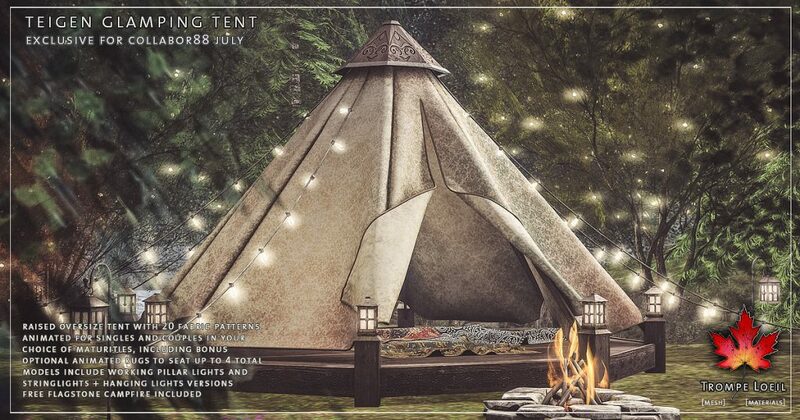 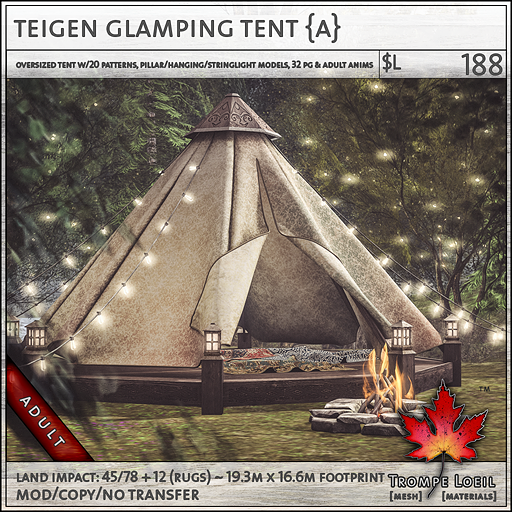 Camping is so much more magical with high ceilings, luxurious textures, and sparkling starry lights everywhere – our new Teigen Glamping Tents for Collabor88 July will make you never want to leave the woods! 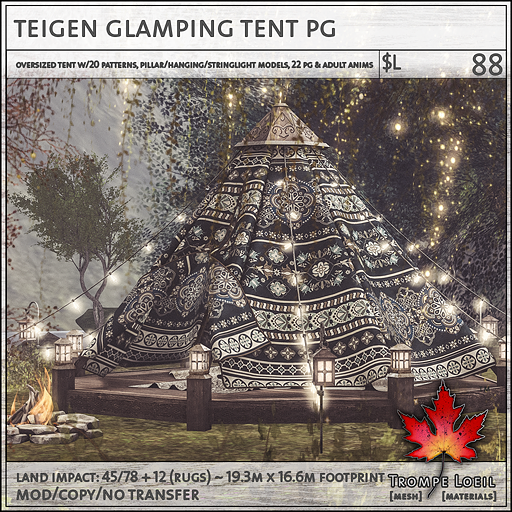 The Teigen Glamping Tent is an elevated oversized tent structure with 20 fabric options on touch menu, two models which both include pillar lighting plus optional stringlights and hanging lights, free bonus flagstone campfire, and your choice of animated maturities for singles and couples, plus optional animated rug option – seat up to 4 individuals total! 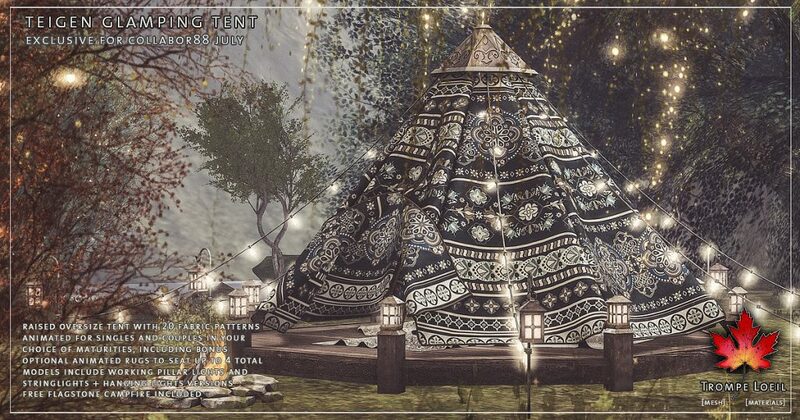 Only at Collabor88 July!